Are Invisalign aligners an affordable alternative to dental braces for adults in Philadelphia, PA? While traditional braces are often used for realigning the smile, they can be an incredible turn off. These metal brackets and wires can cover the teeth for months, sometimes years, to achieve realignment of the dental arch. Instead, many patients are working with dental professionals in the Philadelphia, PA area to learn about affordable alternatives to braces. We recommend Invisalign. 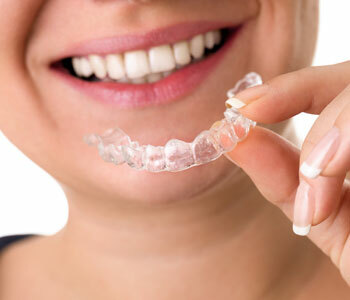 Invisalign is clear aligner therapy. Instead of using brackets and wires to reposition the teeth, Invisalign uses trays that are custom-made for patients. These trays are worn over the dental arch day and night to gently reposition the teeth. Dr. David Spilkia encourages patients to consider scheduling a consultation appointment at his practice in Philadelphia, PA to determine candidacy for this and many other dental solutions. During a consultation visit and evaluation, he can assess the smile and determine if Invisalign will be appropriate. Most patients with mild to moderate misalignment of the dental arch and the bite are good candidates for Invisalign. They can achieve the same results as braces in a comparable amount of time, typically within one year for mild cases. The results can last a lifetime! Seeking an affordable alternative to traditional braces? Adults and teenagers considering orthodontic work may be turned off at the idea of traditional braces, but love the idea of using Invisalign to achieve the same results! Dr. David Spilkia in Philadelphia, PA provides Invisalign orthodontics for individuals ready to improve their smile. Call (267) 463-2777 to schedule a consultation appointment and discuss with a dentist the benefits of this treatment. David Spilkia Family and Cosmetic Dentistry is located at 7052-56 Frankford Avenue.